We believe great wine is an expression of the area it comes from…it’s grown, not made. A combination of soil, sun, vine & man, our wine begins with its roots deep within the sandy loam of the northern tip of the Great-Basin Desert. We are a small, boutique winery. We believe great wine is an expression of the area it comes from…it’s grown, not made. A combination of soil, sun, vine & man, our wine begins with its roots deep within the sandy loam of the northern tip of the Great-Basin Desert. It is then ripened by the hot Okanagan sun and finally aged in our unique underground cellar, which is overlooked by the Hidden Chapel. Come visit our cheery tasting room, view the underground cellar & experience the Hidden Chapel nestled in the pines surrounded by beautiful gardens. 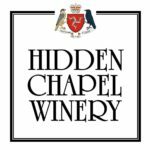 We believe our wines are blessed by the Hidden Chapel…tasting is believing. The community and the price you have been looking for.